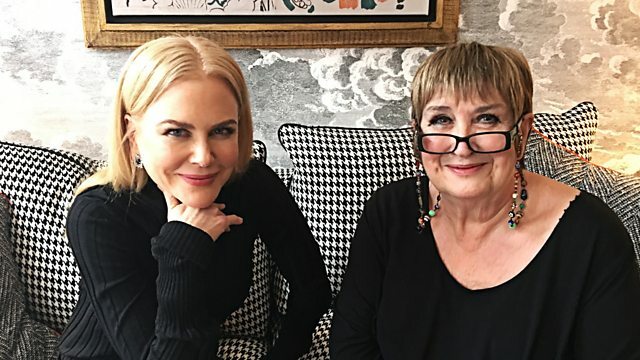 Film star Nicole Kidman on starring in Lion, Elizabeth Hodgkin talks about being the daughter of a Nobel Prize winner, and why is craft seen as separate from high art? Australian superstar, Nicole Kidman is starring in a new film, Lion. It is based on the true story of a five-year-old Indian boy who gets lost on the streets of Calcutta, thousands of miles from home. Saroo survives many challenges before being adopted by a couple in Australia. 25 years later, he sets out to find his lost family. Jenni talks to Nicole Kidman about playing Saroo's adoptive mother. As part of our coverage for the Woman's Hour Craft Prize this week we're looking at the history of Craft. Jenni asks Dr Catharine Rossi, Senior Lecturer in Design History at Kingston University, London and Joanna Norman, Deputy Head of Research at the V&A why it was seen as separate from high art. When did craft leave pure functionality and begin to be appreciated for its originality, beauty and design? In the 4th link of 'The Chain' we hear from Elizabeth Hodgkin, the daughter of Professor Dorothy Hodgkin, the only British woman to win a Nobel Prize for science. Liz watched her mother collect the prize in 1964 after Dorothy discovered the chemical structures of penicillin and vitamin B12. Former gallery boss Dame Julia Peyton-Jones has become a mum for the first time at 64. In 2008, Sue Tollefsen gave birth to her first child aged 57 following IVF treatment in Russia. She joins Jenni to discuss parenting her daughter who is now eight along with Charlotte Tigwell whose father was aged 50 when he had her.